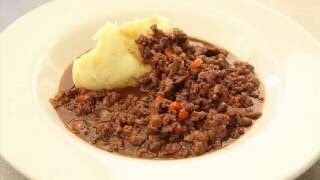 Premium steak mince from Scotch Beef, full of flavour, from 100% beef steak meat. Our beef is from Scotch Beef cattle, naturally reared and predominantly grass fed on farms recognised for high standards of animal welfare. Your order is prepared here in Linlithgow by our skilled butchers and delivered to your door fresh, so you can choose between freezing or consuming within a few days. really lean and lovely flavour. Good quality mince, my husband really enjoyed. Excellent quality, looks good abpnd tastes even better. Good mince,good multi bye price. Lovely mince Very adaptable for various recipes. I have purchased many time as quality is excellent. Best mince ever, asked to be packed in small amounts as only two of us. Have found the mince good quality and it has a good texture. I don't like mince that looks like string which you often get with pre-packed but this mince is excellent. Excellent quality mince.Have received good quality every time I order from Campbells Meat. I find Campbells mince to be the best I can buy anywhere! Absolutely fabulous.please take the chance to give it a go. As expected and previously purchased 10/10. Very, very good. Smooth and tasty. The taste was wonderful with the right amount of fat. The mince is very tender, lean and tasty, we will definitely buy it again.